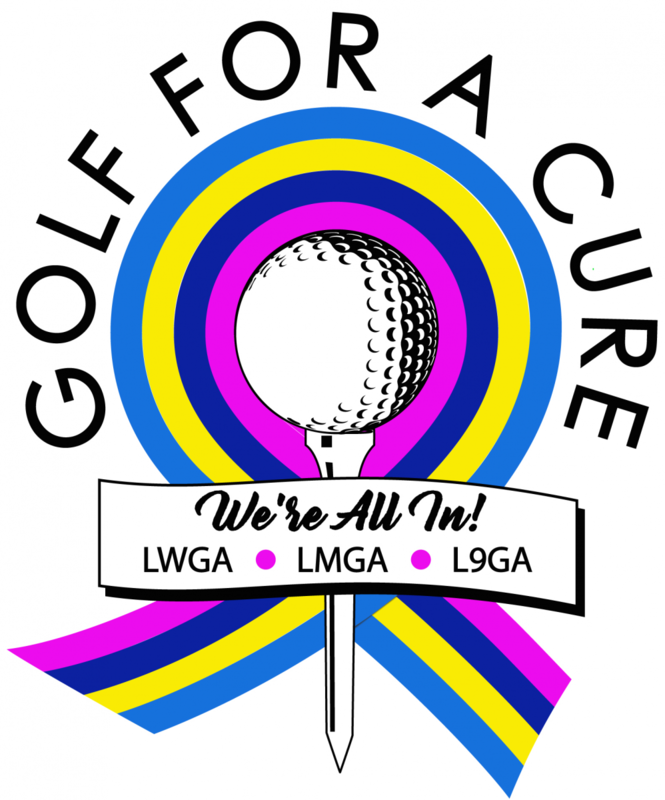 GOLF FOR A CURE 2019: Are You ALL IN FOR A CURE? Cancer has touched most of our lives in some way, be it personally or through our family or our friends. Over the past 14 years and with participation only from its members, the Landings Women’s Golf Association (LWGA) GOLF FOR A CURE event has raised more than $750,000 for cancer research and equipment and the treatment of cancer patients suffering from all types of cancer. This year, we are “going big” by inviting all three golf associations at The Landings Club to participate in this event -- LWGA, The Landings Men’s Golf Association (LMGA), and The Landings 9-Hole Golf Association (L9GA). We’re ALL IN FOR A CURE as we try to fill all six golf courses at The Landings Club to beat cancer. Event Details The tournament will be held on Tuesday, April 23 (rain date April 30), with a 1:30 p.m. shotgun start on Plantation and Palmetto’s courses and a 1:15 p.m. shotgun on the other courses, followed by a cocktail reception at the Plantation Clubhouse. The cost includes a fully tax-deductible registration fee of $100 per player or $400 per team and a $30 charge for the reception. Both fees will be charged to members’ Landings Club accounts. The format of the tournament is an 18-hole net team scramble. LWGA, LMGA, and L9GA will have their own flights. LWGA and L9GA teams may play from the Course Name tees or the Skidaway tees. LMGA teams may play from the Medal or Club tees. Prizes will be awarded to flight winners, and there will be additional prizes awarded for closest to the pin and other on-course feats. Registration opens February 1 and closes April 12. Team captains may register their teams on the LWGA website (www.lwga.net). Tournament proceeds benefit the Savannah Campus of Mercer University School of Medicine in support of cancer research and the Summer Scholars Program. How You Can Help Play in the Tournament! If you are a member of LWGA, L9GA, or LMGA, put together a foursome to play! You will receive an eblast by February 1 with instructions and a password to access the Main GFAC page on LWGA’s website (www.lwga.net). Your Team Captain may then register your team. If you are not a member and would like to play, now is the time to join LWGA (www.lwga.net), L9GA (www.l9ga.org), or LMGA (http://golf-lmga.org/content/lmga-online-registration)! Join LMGA and receive a 2019 membership free! It will take an estimated three-day waiting period for a new member’s name to appear on the Team Registration form. Purchase Sponsorships and Raffle Tickets! Captains and team members all may purchase sponsorships, including hole signs to honor a friend or loved one and raffle tickets online at the GFAC page at www.lwga.net. Simply enter the password to access the Main GFAC page and click on the appropriate boxes. Not a Golfer? You can get involved through sponsorships, donations of raffle prizes, and the purchase of raffle tickets. Sponsor a hole in honor/memory of a friend or loved one as an individual, a group, or a business. To purchase a sponsorship, email Lori Lilienthal (lorikaye@mac.com). For information about raffle ticket sales, email Gretchen Nazaruk (kechup57@aol.com), and look for announcements of raffle ticket sales, locations, and dates. By making a tax-deductible $100 donation to Mercer University, non-golfers may attend the cocktail reception at Plantation Clubhouse following play on April 23. The $30 charge for the reception and the donation will be charged to members’ Club Accounts. Non-golfers who want to attend the reception should email Carole Sangalli (carolesang42@gmail.com).